If the treesensor.com database clearly shows that a data upload has been processed, stored and a PDF document has been successfully generated and stored in your login archive folder, no refund will be offered. Where no successful data processing is completed or a PDF document is not stored on treesensor.com site in your files and payment has been taken for the service, please contact the webmaster via the ‘contact us’ page and quote your login name (e-mail address) and a brief description of the event, including your PiCUS Tree Motion Sensor serial number and download reference for investigation. The treesensor.com webmaster will then investigate, and if found to be a treesensor.com fault, treesensor.com will provide a free credit to upload and produce another report. treesensor.com does not take any responsibility for any data lost in uploading from your phone, tablet or computer to the website, treesensor.com cannot be held accountable for internet connectivity provided by other parties. All transactions will show on your credit card or bank statement as being with ENSPEC Pty Ltd.
No monetary refunds will be offered under any circumstances. · Credit Card refunds will be processed against the credit card used to make the payment, and is normally posted within five business days. · For Direct deposit (EFT) payments, you will need to provide us with your bank details (including your Swift Account / International Bank Account Number (IBAN). Please allow up to ten business days for these payments to be posted to your account. ENSPEC reserves the right to deduct any bank account fees charged for processing of refunds, which may vary depending on which bank and currency is used. 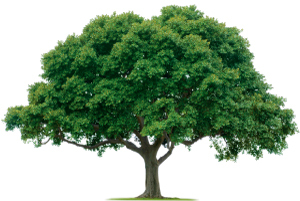 treesensor.com reports can only provide details of the data captured and subsequently downloaded from the tree sensor.